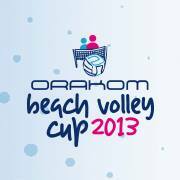 The Open Regional Beach Volleyball “Orakom Cup 2013 has started yesterday at Spineta Lido, the registrations has been closed and have begun scheduled match for 3 days 19, 20 and 21 in the Spineta Beach Stadium. Ivano Pecora, Orakom CEO and organizer of this tournament said to expect a panel of high level athletes and in fact there are 19 male couples and 21 women couples ready for three days of great entertainment on the Beach of Spineta (Battipaglia coast). For supporters here are available information about how to go to Spineta Beach Stadium. (Riviera Spineta Costa Sud Salerno).